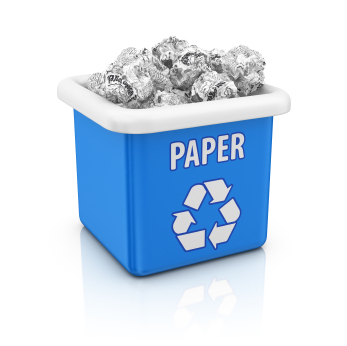 Reduce the amount of paper thrown away in the trash by placing it in a recycled paper container. Don't see one near by? Save it, and take it somewhere that will recycle it. If your vehicle has it, use overdrive gear at cruising speeds. When driving a manual transmission, shift up as soon as possible. Running in a higher gear decreases the rpm and will decrease fuel use and engine wear.